While many of us live our lives in a small hovel we call home, there are plenty of others at the opposite end of the spectrum, living in some of the world’s most fantastically expensive houses. Some of these properties are available on the open market—if you have enough money. Some are not. But all of them join a unique club of some of the world’s costliest places to live. A two-floor, six bedroom apartment overlooking Hyde Park may well be, per square foot, the most expensive property in the world. Those living in The Penthouse (as it’s often called) at One Hyde Park are presumed to be keen to protect themselves: One of the notable elements of the apartment is that every window is fitted with bulletproof glass. This property, bought by steel magnate Lakshmi Mittal, one of the world’s richest men, set him back $222 million in 2008. Mittal knew what he was buying: He also purchased two other houses on the street known to locals as Billionaire’s Row. No. 6 Palace Green went back on the market in 2012. The Hamptons is known as an expensive neighborhood at the best of times. The estimated value of Fairfield, Ira Rennert’s 29 bedroom beachfront property, proves that. The place is so big that it has its own power supply on site. 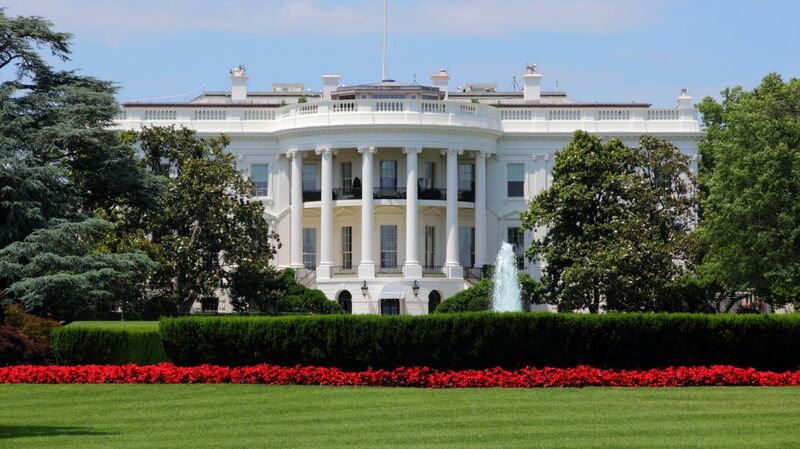 According to real estate website Zillow, that’s how much 1600 Pennsylvania Avenue NW, Washington DC 20500, would be worth on the open market. Of course, having been the official residence of every President of the United States since 1800, it’s unlikely to come up at auction any time soon. The Villa Leopolda is Europe’s most expensive house (that you can possibly hope to buy; some properties, like Buckingham Palace, will likely never reach the market). Mikhail Prokhorov, owner of the Brooklyn Nets, now owns the French Riviera property, which sprawls across 20 acres. Another 27-floor tower in Mumbai is—believe it or not—one single home, built by Indian billionaire Mukesh Ambani. Ambani spent around 5 percent of his fortune to build the house, which has garage space for 168 cars. Six hundred people are employed to keep it running on a day-to-day basis, including preserving Ambani’s collection of antique sewing machines, the largest such collection on the planet. That’s right—$1.56 billion. Buckingham Palace was estimated to be worth that by the Nationwide Building Society in 2012, a significant increase from its worth of $17 million in 1953, when Queen Elizabeth II first ascended the throne. Likewise, as the official residence of every monarch since Queen Victoria in 1837, it would take a revolution to ever see this property up for sale.